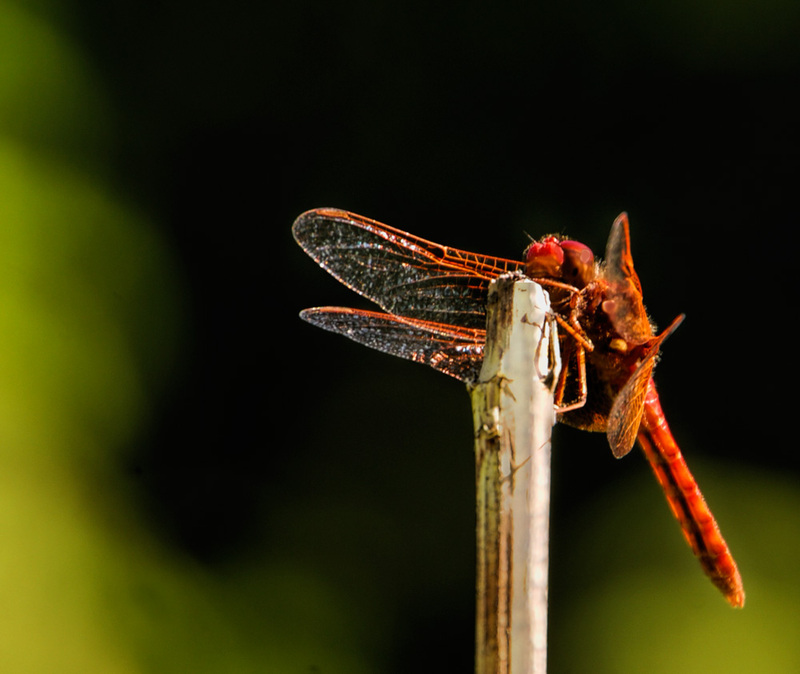 I think this is a Cardinal Meadowhawk. I love dragonflies, this kind stays still on its perch longer than others. Great shot, love the composition and golden light you captured. I got behind with checking your site. On my way home today I was enjoying dragonflies in the air, and I thought about how difficult they are to photograph. I reminded myself that you’ve been known to get some great shots of them. And here you are proving it again. Such a beauty! I will need to share it on Facebook. Thank you, Ellen! Nice capture of a difficult subject. Wonderful shot of Natures greatest Swamp Killers. The lighting really brings out the color and the fine details! Perfect! What a striking pose it’s putting on for you, gotta love a dragonfly that knows when to take a rest.